Exercise is medicine and for people with Type 2 Diabetes it is “key” to maintaining normal blood glucose levels, good circulation, skeletal muscle strength, blood pressure and reducing stress. These factors are critical for maintaining good healthy living with diabetes and preventing many of the common diabetes related complications. The positive effects of exercise on blood glucose levels can often been seen after just one bout of exercise and research shows that insulin resistance can improve by 25%, an effect that can last for up to 72 hours! Let’s begin by breaking down the processes that are occurring in the body when Diabetes is present. Your pancreas produces insulin, a hormone that is responsible for transporting glucose from your blood into the cells of your body, to be used as fuel and for storage. The pancreas releases insulin in response to increased levels of glucose in the blood stream. Insulin resistance or Type 2 Diabetes is when the muscles and the liver resist the action of insulin, so the pancreas needs to produce more insulin in order to try and maintain normal blood glucose levels. Lifestyle factors are a big contributor to development of such conditions, eating high glucose foods and doing little to no physical activity. Insulin Resistance can be greatly improved through a combination of healthy eating and increased physical activity. So what type of exercise is best? So if we put more demand on a muscle, the muscle responds, it grows, it gets stronger and becomes more sensitive to insulin. This is a good thing. When you exercise at a MODERATE intensity the muscle takes up glucose to be used as a fuel without the need for insulin. So if you have stronger/larger muscles, glucose is used by the muscle more efficiently, reducing the demand for insulin from the pancreas – wow right! Most people with Type 2 Diabetes develop it during mid – later in life and interestingly from your mid thirties the body naturally starts to reduce its muscular size. If you do nothing to counteract this normal decline in muscular size and strength, your risk of developing Insulin Resistance and Type 2 Diabetes may be increased, especially if you have a strong family history of this type of condition. What can you start doing to make a difference? Sit less! The more your body moves, the more used to being mobile it gets. This assists in maintaining muscular strength, once you are used to sitting less (and you will – because the body adapts quickly). Start incorporating strength exercise into your everyday movement, like sitting to standing out of a chair, walking upstairs, lifting weights. What exactly is Moderate Intensity Exercise? Moderate exercise refers to exercise that makes a noticeable change to your breathing, heart rate and effort in your muscles. This change is the stimulus that your body needs to make a change to your glucose levels, blood pressure and muscular strength. I can’t say enough, exercise that does not elicit these changes can have little to no effect. But you must also remember to start somewhere that you are comfortable with, remembering that every BODY is different. If you walk, try walking up a hill and then increase it to two or three!!! Every day is ideal. But again start with something and then build it up as your fitness increases. Ideally the below suggestions are a good rule of thumb! 2 x strength exercises per week eg, gym weight class, gym program, yoga, boxing, rock climbing!!! 5 x aerobic sessions per week eg. walking, swimming, cycling, dancing, roller blading!! Find something that you enjoy, that way you are more likely to stick to it for the long term! Monitoring your blood glucose, this is particularly helpful for the first couple of weeks, so you can understand how exercise effects your glucose levels. What Diabetes or heart medication do you take? Injectable insulin and some oral medications can cause hypoglycaemia or increase your feeling of breathlessness, so carrying a ‘”healthy’ snack with you during an exercise session is recommended. Time of the day is also important to consider, as you preferably need to avoid times where your medication is at peak action, and around meal times too. My favourite time for people to exercise is before lunch or after dinner – but everyone is different. Finally remember to hydrate after exercise, because you do dehydrate during a MODERATE exercise session. Exercise Physiologists can help you understand more about exercise if you have Diabetes or any other chronic disease. We will try answer your questions and make exercise easier and more enjoyable for you. We are here to help, not judge, and give you the tools to become a better version of yourself. Beth Crane is an Accredited Exercise Physiologist at Your Health Hub. Beth has a special interest in helping clients achieve wellness through exercise and working with clients with Chronic Conditions including Diabetes, Cardiac and Pulmonary Conditions. Beth works one-on-one with her clients to design a specialised exercise prescription taking into account their goals and pre existing conditions. 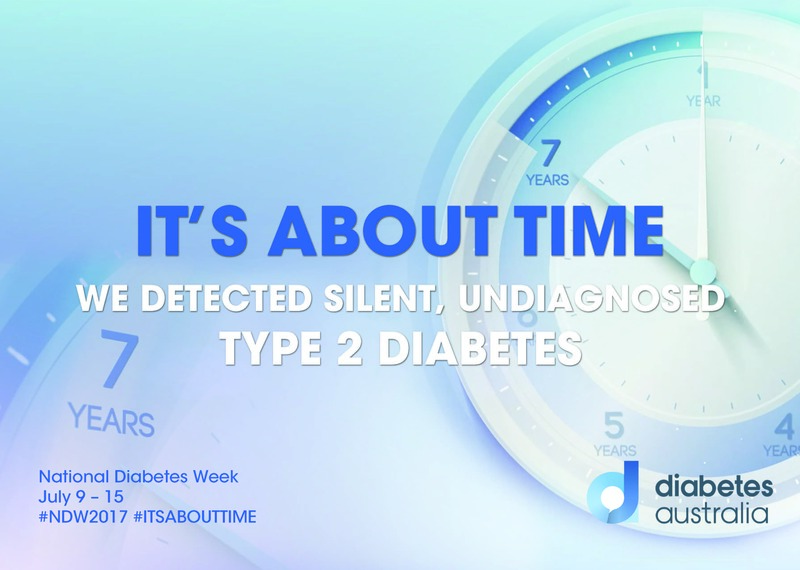 For more information about National Diabetes Week visit the Diabetes Australia website.